When most people think of the top ten or even five greatest harbour’s in the world, Sydney Harbour will almost always make that list. At a massive 55 km², Sydney Harbour, or Port Jackson as it is formally known, is the world’s largest natural harbour and it’s an inlet of the Tasman sea. The harbour is used by hundreds of thousands of Sydneyites each day to commute to work and to enjoy in their leisure time. It is also visited by millions of people from around the world each year because of it’s spectacular natural beauty and it’s surrounding world famous landmarks. If you’ve just arrived or are planning a trip to Sydney soon, a day out on the harbour is a must. Not only are the views spectacular, but it will give you a chance to tick off all the those famous things to see around Sydney Harbour. There are few ways you can do this. 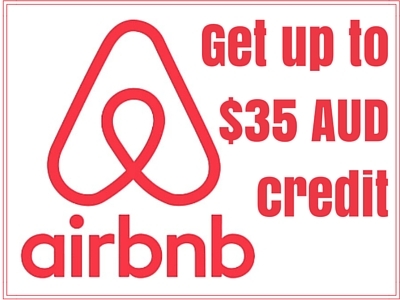 Maybe book a sightseeing, lunch or dinner cruise or jump on an iconic Sydney ferry. 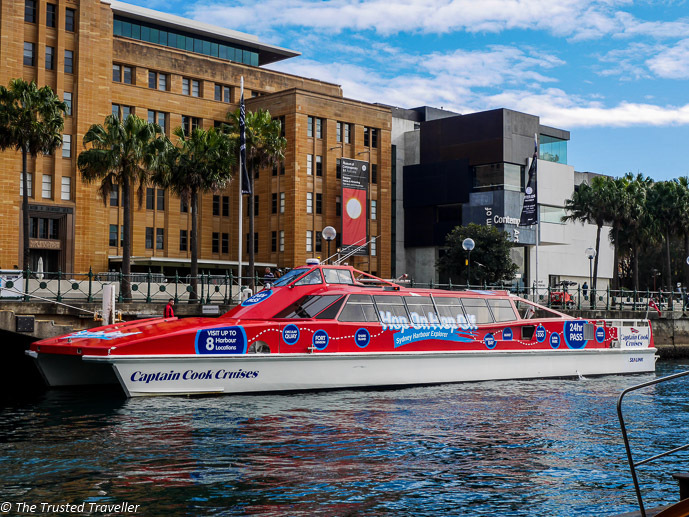 But if you’ve got limited time and want to see all that Sydney Harbour has to offer then you can’t go past Captain Cook Cruise’s Hop On Hop Off Sydney Harbour Explorer boat. Just like a hop on hop off bus except on water, you climb aboard at any of the given stops and then you are free to hop on and hop off as much as you like for the duration of your ticket. It’s as simple as that! This gives you the freedom to explore different parts of Sydney around the harbour at your own pace, eliminating the need to work out complicated ferry timetables. One ticket is valid for 24 hours from the time of purchase so if you feel like a sleep in and don’t get going until after lunch, you have until the same time the next day to keep using the pass around the harbour. Boats leave the main hubs of Circular Quay and Darling Harbour ever 45 minutes with a full loop of the route taking up to 90 minutes if you choose not to hop on hop off at one of the nine stops along the way (i’ll get to the stops shortly). The boats are super comfortable catamarans with inside and outside top deck (air conditioned!) seating so no matter what the weather is like you can either be enjoying the breeze in your hair on the top deck or staying cozy inside the cabin. 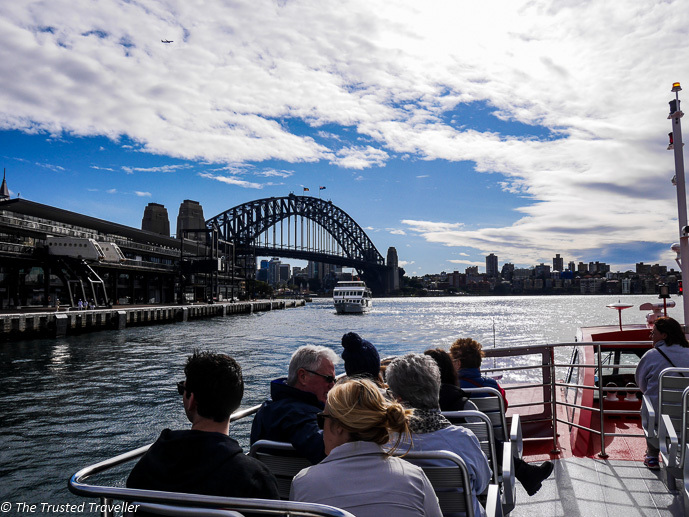 Every boat has a guide who will point out the most interesting sights around the harbour as you cruise from stop to stop and entertain you with a corny joke or two and lots of interesting facts about Sydney and it’s harbour. So now that we’ve got the particulars out of the way I’m sure your wanting to know more about the stops and the things you can see along the way. Below I’ll outline for you a little about each of the Sydney Harbour Explorers stops and what you can see while your there. Darling Harbour is known as the entertainment hub of Sydney with it being packed full of restaurants, bars, museums and attractions. Wine & Dine – Almost completely lining this small harbour inlet is dozens of restaurants and bars that cater for all tastes and budgets. A few of my favourites include Criniti’s, Kazbah and King Street Brewhouse. Australian National Maritime Museum – This museum details Australia’s maritime history through interesting and educational hands on exhibits and an impressive collection of vessels. IMAX Theatre – See the latest movie or specially made production on a screen that is 10 times larger than a regular cinema screen. Plus they also offer most features in 3D. Carousel – If your travelling with little ones they will love a ride on this classic Carousel which is more than 120 years old. Madam Tusauds – Get up close and personal with over 70 of the world’s top celebrities, well their very life like wax copies anyway. Sydney Sea Life Aquarium – Get lost in the underwater world as you wander through 14 themed zones showcasing life under the sea. Wild Life Sydney Zoo – One of the best chances to get up close with Australia’s diverse wildlife including cuddly koala’s and fearless croc’s. What’s Nearby: It’s just a short walk to The Powerhouse Museum, The Star Casino, Chinatown and the Chinese Garden of Friendship. This is where you can catch some of the best views of Sydney’s most famous landmarks and also explore one of Sydney’s oldest areas. Sydney Opera House – A first time visit to Sydney isn’t complete without spying this famous landmark. Make sure you take a walk up it’s steps and wander around the outside to get a look at the one of a kind architecture. 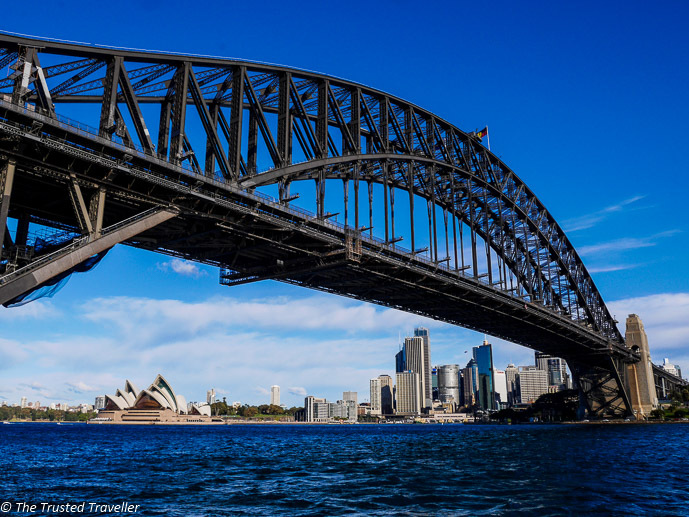 Sydney Harbour Bridge – Same goes for the ‘coathanger’, it’s not to be missed. Get a closer look by walking around to Dawes Point or why not try a Sydney Harbour Bridge Climb. The Rocks – As one of the oldest part of Sydney, you can imagine how historic this part of the city is. Check out the markets on the weekend and take a walking tour with an expert local guide to find out more about that history. Royal Botanic Gardens – Set along the edge of the harbour, these gardens are a great place to enjoy a picnic lunch, a rest in the shade on a hot day or just a stroll out to the point at Mrs Macquarie’s chair. Museum of Contemporary Art – Lovers of modern art will love this gallery set right on the harbours edge. Even if you’re not keen on the art, I recommend grabbing and coffee or bite to eat in their with water views. What’s Nearby: Circular Quay is well connects to the City Circle train line giving you access to other parts of the city. It is also not far to walk to the shopping hub of the city, Pitt Street Mall and the Sydney Tower Eye. Just one main attraction here, Sydney’s Taronga Zoo which is set over 52 acre and is home to over 4,000 animals from all over the world. Not to be missed are the native Australian favourites like the kangaroos, koalas and platypus plus they have a very entertaining seal show, a family of asian elephants, giraffe and a whole host of other creatures great and small. What’s Nearby: Paths lead all along the north shore of the harbour so from the zoo you can walk out to Bradley’s Head and then onto Chowder Bay. Tucked away on the southern side of the entrance to the harbour is the affluent suburb of Watsons Bay. The area around Watsons Bay is where you will find some of Sydney’s most expensive real estate and the waters edge is lined with mansions worth millions of dollars. The Gap – A short walk from the marina is this lookout which not only has Tasman Sea views but also one of the best views of the harbour and city skyline. South Head – From The Gap there is a nice walk you can do out to South Head and the Hornby Lighthouse through the Sydney Harbour National Park. It takes no more than an hour round trip and offers more spectacular views of the harbour. Fish & Chips at Doyles – Doyles is a Sydney institution and has been open in Watsons Bay since 1885. A meal at either their waterfront fine dining restaurant or their takeaway style joint on the wharf will give you one of the best opportunities to sample some of the delicious fresh seafood Australia is famous for. What’s Nearby: Buses run from Watsons Bay to other parts of the Eastern Suburbs like Parsley Bay, Vaucluse and even Bondi). If you are visiting Sydney with kids then they will absolutely love this stop! Iconic Luna Park is nestled just next to the north west pylon of the Harbour Bridge and can bee seen from far away because of it’s famous smiling face entrance. It is free to get in and wander around and then you just pay per ride/attraction. What’s Nearby: Why not use this opportunity to walk back to the city using the Harbour Bridge. There is a walk/bike path that runs along adjacent to the road and offers stunning views of the harbour. Sydney has many great beaches and the second most popular (after Bondi of course) is Manly. No matter what time of year you visit you’ll find tons of people wandering the Corso and enjoying the beach. Manly Beach – Get the quintessencial Aussie experience by spending sometime at the beach. Manly is one of the city’s best and is great for those who might not be so confident in the water as parts of the beach are quite sheltered from the big waves. Don’t forget to swim between the red and yellow flags that are put up and monitored by the Surf Lifesaving Club. Manly Sea Life Sanctuary – The big difference between this and the aquarium at Darling Harbour is Manly’s focus on conservation through their breed, rescue and protect program. Visitors have the chance to take a shark dive or for something a bit more tame, watch the feedings that happen throughout the day or check out the little penguin colony. Hire a Kayak or Stand Up Paddleboard – On the harbour side of Manly you can hire a kayak or stand up paddleboard for a unique experience exploring the bays and parts of the harbour the big boats don’t go to. 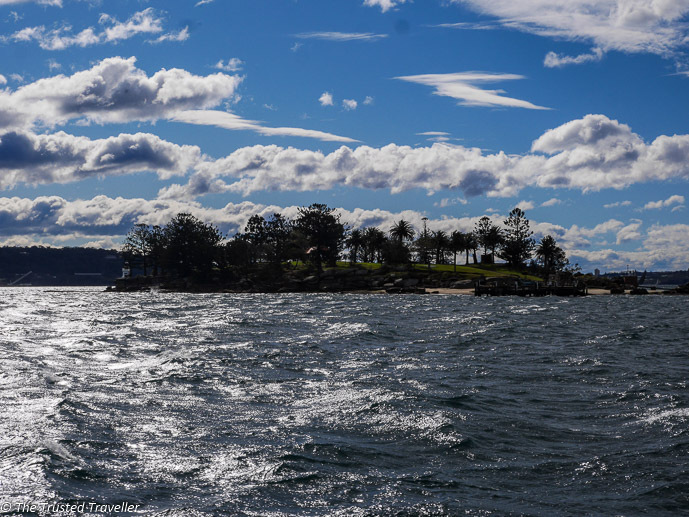 Quarantine Station – Used in the 1830’s as a place to quarantine people suspected of diseases such as Spanish Influenza, Smallpox or Bubonic Plague, the station is now a free history museum that also offers tours (for a fee) on both the history during the day and paranormal tours at night. What’s Nearby: Explore the beaches further north by jumping on bus. This is the first of two harbour islands that the boat stops at. Fort Denison is a formal penal site in the middle of the harbour just off from the Botanic Gardens. The island is free to visit and explore the garden and museum which tells the history of the the fort which dates back to before the arrival of the First Fleet in 1788. There is also a short guided tour you can take (for a fee) up into the Martello Tower. Fort Denison is not only a great spot to stop for its interesting history, it also afford great views of the harbour, the Sydney Opera House and Harbour Bridge. There is a fine dining restaurant on site too which requires pre-booking or you can great a coffee if they’re not too busy. Don’t be frightened by the name of this island. It’s not where sharks hang out, rather it is the shape of the island that gives it it’s name. With 360° views of the harbour and city skyline, Shark Island is the perfect spot to stop for a picnic. It’s only small so you can easily fit in a quick visit to wander around and eat lunch as you whiz around the harbour. Another deceiving name as Garden Island isn’t actually an island. Rather a peninsula of land that juts out into the harbour. 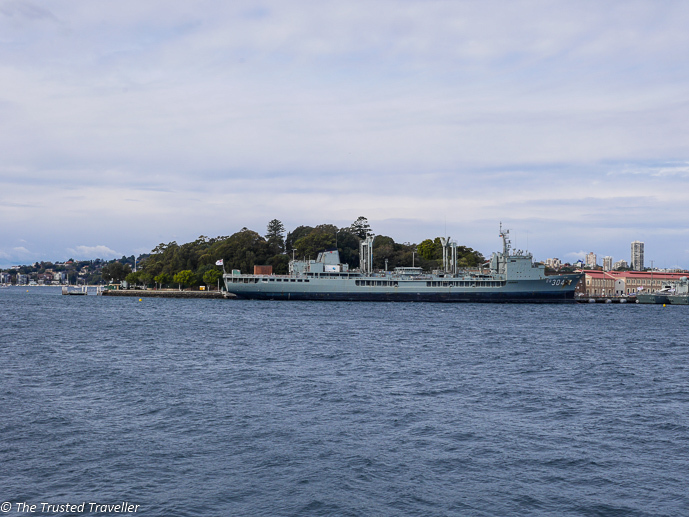 This spot is home of the Royal Australian Navy as you will see from the Navy ships docked along the harbour. If you get off here you can enjoy a small part of the land near the wharf for a picnic or wander into the RAN Heritage Centre Museum to learn more about Australia’s Navy heritage. They have tons of cool stuff on display including the conning tower of one of the Japanese midget submarines that attacked Sydney Harbour in 1942 during World War II. 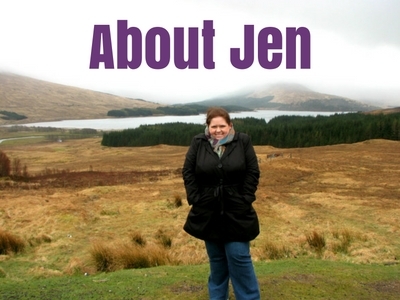 Disclaimer: Thank you to Captain Cook Cruises for hosting me for this fun day out. As always, all opinions expressed in this post are my own. Have you visited Sydney Harbour? What did you love most about it? If not what are you most interested to see and do? It’s not a bad city we live in, is it? I did a Captain Cook Cruise or two when my friend worked for them (he’s since moved back to Germany), and I had a great time on it! Definitely a good way to see the harbour! We are very lucky! Thanks for stopping by Kirstie. Wow! What a super useful list! 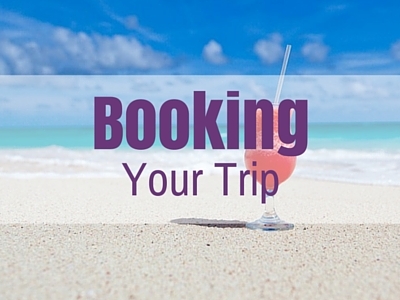 My partner and I are planning on doing Aus soon so I am definitely bookmarking this one! Thanks Anna. Hope you enjoy Australia. Yes, Luna Bay would definitely appeal to our kids, but I want to see Watsons Bay! Mind you, it all sounds gorgeous. My kids are really keen to go to Australia, so hopefully one day, but it is so far (despite looking so wonderful). Yeh that is a bit of downside, especially living here, it takes so long to travel anywhere. This is a very complete guide. I used the hop on hop off bus already and I think it is an ideal way to take a tour, so hopefully the boat would be just as good. 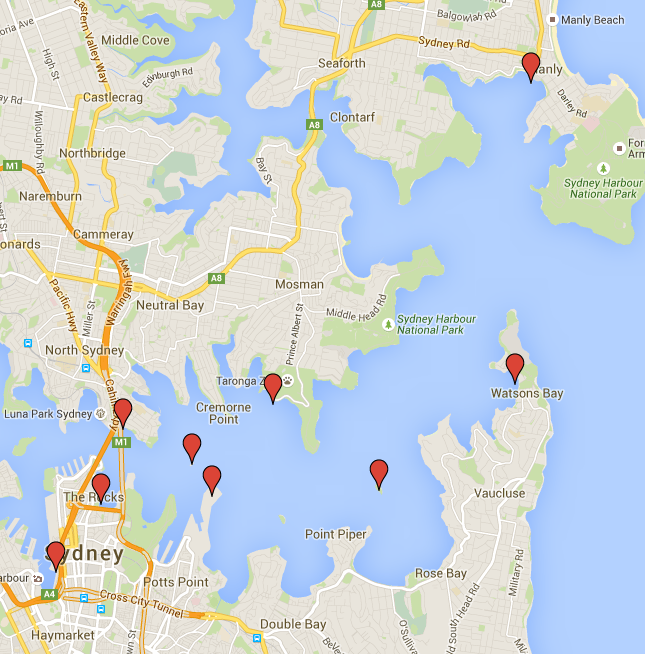 There are so many things to do and places to visit around Sydney Harbour. Hope you get to someday soon Anne. Sounds like a good plan Zof. My family lived in Aus for a year when I was young and my parents went to Sydney without taking me and my sister! Have never forgiven them – I really must go back. Haha now that was mean of them 😉 Hope you get to stop by here someday soon! Great tips! Never made to Australia (only to NZ), but Sydney definitely is a great place to visit. So many things to see and do! Thanks Hugo. Plenty to see and do here. Great post! The first thing I do when I land in Sydney is head to the harbour just to remind myself where I am in the world! The last time I was there we caught a captain cook cruise over to Fort Dennison and had afternoon tea in the cafe – great views of the harbour! There are so many awesome things to do around the harbour. That sounds nice Sophie. We had a coffee there and it really is a great view. Love this! Such a comprehensive guide! We’ve visited Sydney a bunch of times now being from Canberra, but love it and keep going back time and time again. I really want to book in for an overnight stay at the Toronga Zoo – they’ve got options for glamping and getting up close and personal with the animals after hours. With sunset views of the Harbor it sounds like the best way to spend overnight!! Thanks Meg. Look forward to see you up in Sydney soon! Thanks Tim. There is heaps to see!